Derek represents clients in a variety of business disputes and in civil lawsuits in both state and federal courts. A substantial portion of Derek’s practice is devoted to handling cases in the appellate phase of litigation. 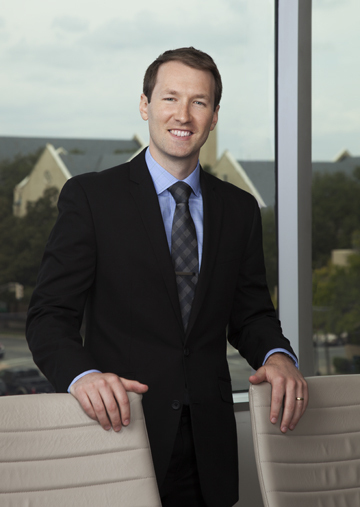 Prior to joining Cantey Hanger, Derek served as law clerk to the Honorable Terry R. Means, U.S. District Judge for the Northern District of Texas, Fort Worth Division. Derek lives here in Fort Worth with his wife and two children. This entry was posted on November 1, 2017 by admin. Capshaw v. Fort Worth Independent School District, 4:17-cv-00094-A (N.D. Tex. Mar. 21, 2017). Co-Founder, Community Frontline of Fort Worth, Inc.
“Challenging A Default Judgment In A Texas Federal Court” So you just learned that a federal court in Texas has entered a default judgment against your company.